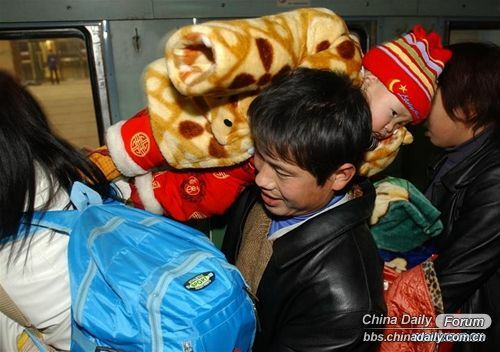 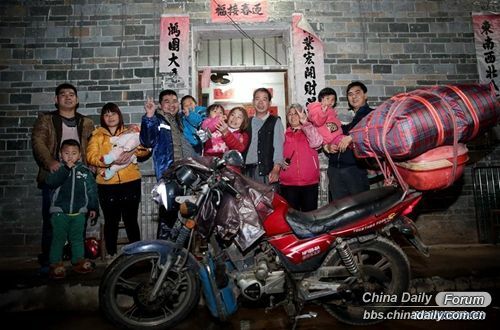 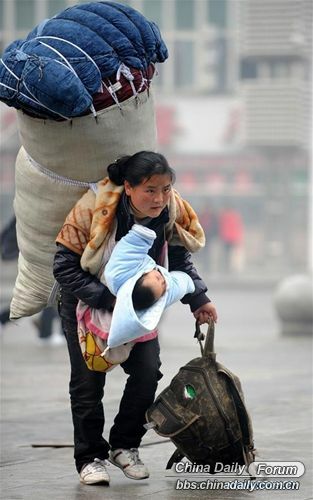 A passenger carrying his child on shoulder gets on a special train for migrant workers at the Beijing West Railway Station in Beijing, capital of China, Jan. 14, 2005. 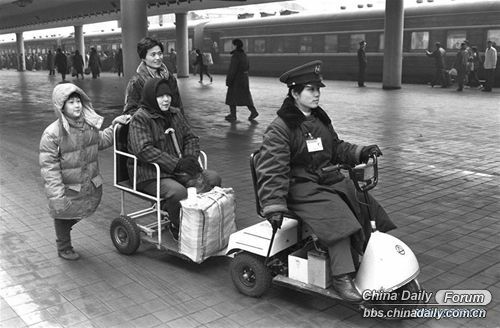 Staff member Xu Xin sends senior passenger Zhou Fengying to her train at the Beijing Railway Station in Beijing, capital of China, Jan. 30, 1994. 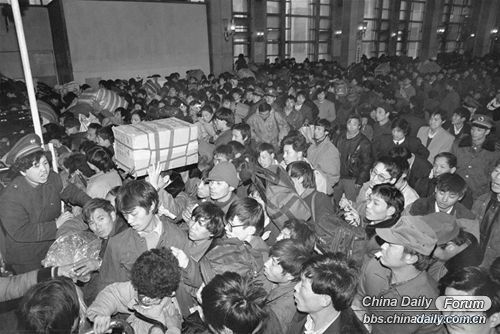 Passengers queue to enter the Beijing Railway Station during the Spring Festival travel rush in Beijing, capital of China, Jan. 12, 1993. 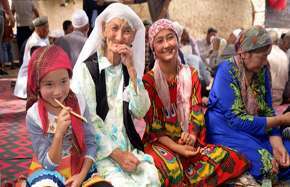 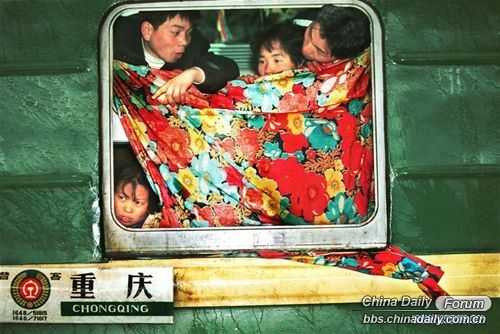 Passengers look outside through a windshielding bedsheet on a train at the Hankou Railway Station, central China's Hubei Province, Jan. 21, 2001. 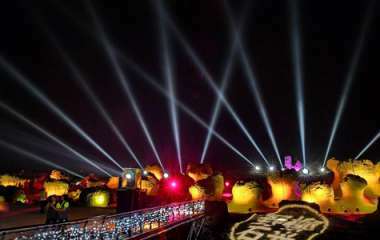 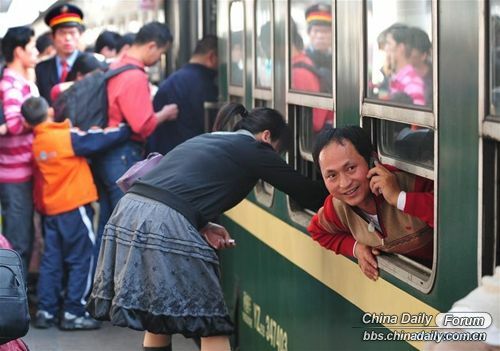 A passenger calls home as soon as he gets on the train at Guangzhou Railway Station in Guangzhou, south China's Guangdong Province, Jan. 22, 2009.